Shinjuku Golden Gai is a small area located in Shinjuku, well-known both as an area of architectural interest, and for its nightlife. It is composed of a network of six narrow alleys, connected by even narrower passageways, which are just about wide enough for a single person to pass through. Over 200 tiny shanty-style bars, clubs and eateries are squeezed into this area. 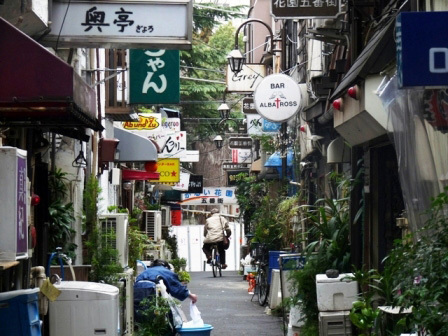 The architectural importance of Golden Gai is that it provides a view into the relatively recent past of Tokyo, when large parts of the city resembled present-day Golden Gai, particularly in terms of the extremely narrow streets and the tiny two-story buildings. 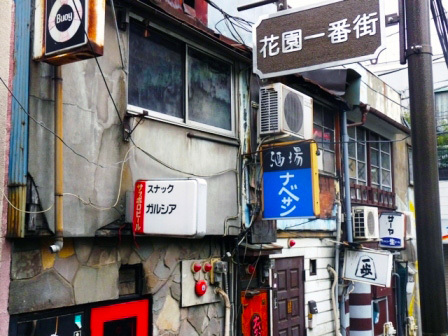 This left Golden Gai as one of a decreasing number of examples of the nature of Tokyo before Japan’s rapid economic recovery that took place in the latter half of the 20th century. Most buildings in this area are two-story, with a small bar at street level, and either another bar or a tiny flat upstairs, reached by a steep set of stairs. The buildings are generally ramshackle, and the alleys are dimly lit, giving the area a very scruffy and run-down appearance. 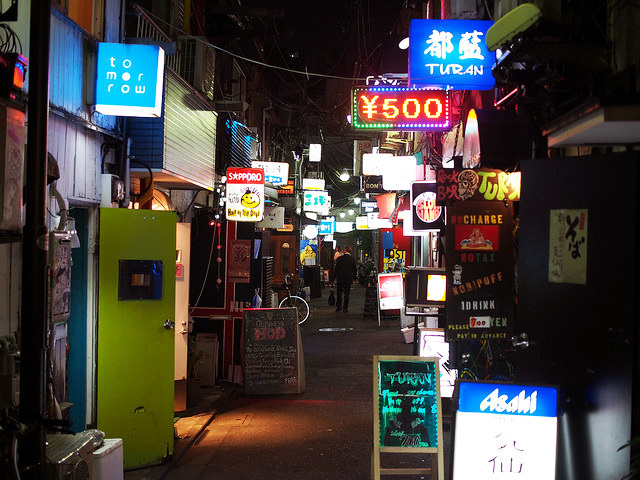 However, Golden Gai is not a cheap place to drink, and its clientele is generally well off and include artists, musicians, directors, writers, academics and actors, and some celebrities.